This is the newest design of our ECO Automation. Modular constructed as all our instruments. In this version with two PDB6 dry baths, so twelve temperature baths are available. November 2017 - SFC-Automation "Economy"
Our newly developed solution for lower sample throughput! 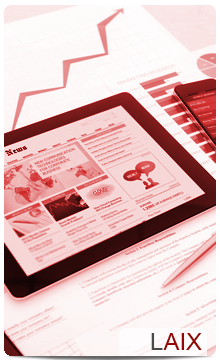 Benefit from the advantages of automation even if you have a smaller amount of samples per day. Our "Economy" version offers a lot of comfort on a small footprint (850 x 800 mm) and of course also meets the AOCS and UIPAC standards. From its "big sisters", our latest automation has received many features: the proven software SFC Application 2.2, the error-free positioning system, the sensor-controlled sample transport, the standard LIMS interface and the temperature and time monitoring with alarm. There are 8 temperature baths integrated, divided into a heating block (ambient temperature up to 100°C), a cooling block (ambient temperature up to 0°C) and 6 blocks for temperatures between 5°C and 60°C. More reliability, more efficiency, more quietness - and a revised design! 1. New error-free positioning system based on a stepper motor with absolute sensor. That means no more positioning errors, no end switches, no homerun. The robot always “knows” its position, even in the event of a power failure or physical collisions. 2. Much more efficient temperature controller: At half the energy consumption, we reach even lower temperatures so that air-cooled baths work reliably at 0° C even in non-climatic, warm rooms. Thus, water-cooled baths or air conditioning are unnecessary. 3. The device presents itself with a new profile system which, apart from the improved optics, also ensures a higher torsional stiffness (less vibrations, quieter operation) and has become more service-friendly (cable guides in the aluminum profiles, integrated sockets, etc.). 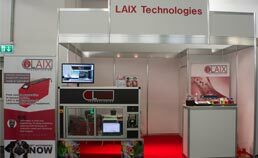 Since January 2017 Laix is also provider of laboratory software. We have expanded our product range by the two standard interface programs: "cConnect" and "Peak-O-Mat". 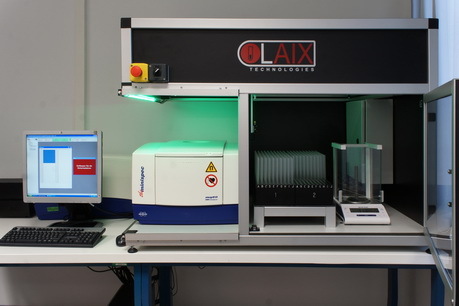 Also the automation software "SFC-Application", "AOM" as well as "FatLab" is now owned by Laix. So in the future, we will offer hardware and software from a single source. We look forward to this new challenge, which enables us to respond quickly and flexibly to customer requirements. August 2016 - Two more companies are official distribution partners of Laix Technologies! PT. Karya Daya Syafarmasi for Indonesia and Malaysia and Servicios Electronet C.A. for Venezuela, Mexico, Peru, Argentina and Chile. We are looking forward to a successful cooperation. Also for the United States and for Canada we are in contact with reliable service partners. June 2016 - WE HAVE WON! Laix Technologies gets the first price in a regional business contest! 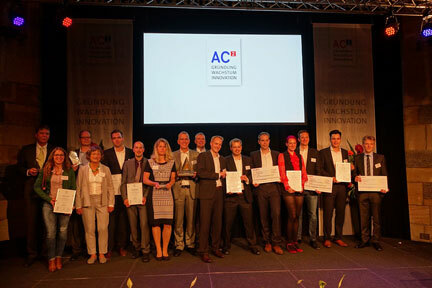 We are the first-price winners of the "AC²-Wachstumsinitiative"! We are very proud that we convinced the jury members of our ideas, products and the visions for the future of Laix Technologies! It was a great celebration in the historical coronation hall in the town hall of Aachen. After years of succesful cooperation Solar Datalab is now our official partner for Central America, Columbia, Equador and the Carribean. We are happy to announce that we found a competent sales and service partner for Australia and New Zealand. We are convinced that our cooperation with AXT PTY Ltd will be an important component for the international commercialization of the Laix products. Our new product line "Let's twist" starts with a powerfull contactless stirrer in our VariSynth stations. 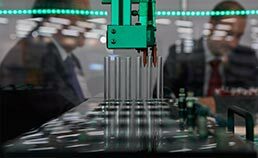 This year we will present different single and multi position stirring plates, optional with heating or cooling and various types of controllers. The first instruments can be tested on our booth shortly. Our SFC Automation is now running with the new Comicon Software "SFC-Application 2". Beginning of September the new software will be also available for older SFC Automations with Windows XP / 7. We want to thank DVD Rinkens for the great Video of our Automation instruments. We finished another automation based on our VariSam autosamplers. Highlight of this automation is, that it can be operated in two modes. It can weight and measure up to 500 samples fully automated or you can work in a half automated mode. The NMR can be used for manual measurments while the instrument operates the balance. The status of the instruments is indicated with modern LED-stripes, the working area is protected by light curtains. 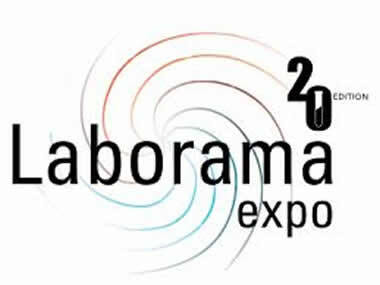 We proudly present the first automated FatLab, our most complex automation. The new instrument fills up fats and measures SFC, POZ, FFA and refraction fully automated by just one mousclick. 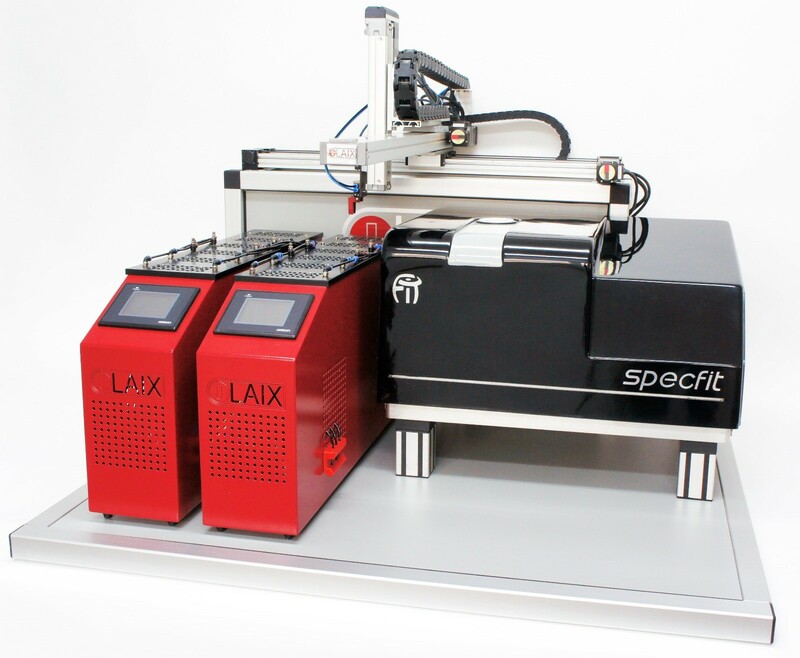 The complex 6-axle linear system with grippers and pipettes works fast and precise. Complementary to the established and proven axles of Bahr Modultechnik we now offer also Epson Scara robots to achieve up to five times more sample throughput. For small throughput and small budget we now offer systems with the cost effectiv but high quality axles of UniMotion. 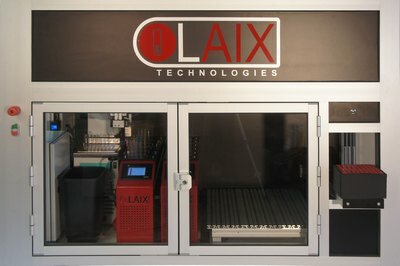 LAIX Technologies starts a new website. Many thanks to IT-Lösungen Frings for the great design work and cooperation. The new SFC automation software version is now compatible with Windows 7. After a successful installation and test on a running system, this update is now available for all existing and new instruments. In Brussels we will proudly present our new SFC-Automation ECO, in cooperation with our partner Anaspec Solutions. Together with our partner PT. 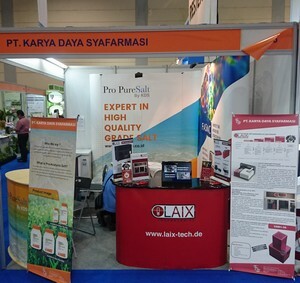 Karya Daya Syafarmasi we took part at the LabIndonesia in Jakarta. 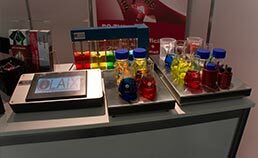 It was a full success, many visitors were very interested in our products for the fats & oils analysis like PDB dry baths and the SFC automation. On this exposition we presented the PDB Dry Bath and the VariSynth to the interested visitors. At this event, we explained to visitors the benefits of the PDB dry baths and presented our SFC automation with a vivid video. Participants from all over the world, many prospective customers for our products, lots of interesting conversations - it was a very successful event. And in the evening we enjoyed the beautiful medieval city of Ghent. 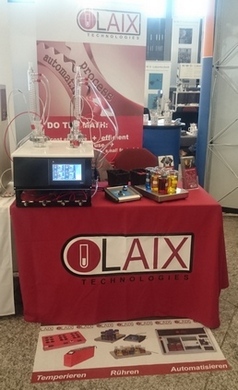 Also in Leverkusen we took the chance to present the Laix products to an expert public. We enjoyed the opportunity to present our VariSynth and the stirring plates to the interested visitors of the Lab-Supply. Together with Comicon GmbH we will present our Hardware and Software solutions for the oil and fat industry on the Oils + Fats in Munich. 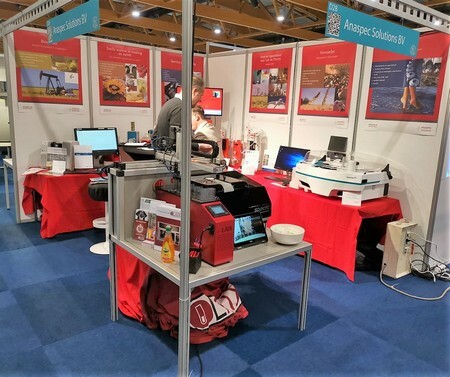 Together with Comicon GmbH we will present our Hardware and Software solutions for the oil and fat industry on the Euro Fed Lipid Congress in Montepellier. 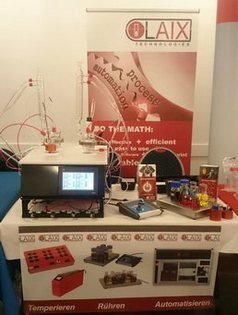 We present our automated FatLab and the SFC Automation on the ADM Congress in Mainz. The AC² competition for the Aachen region will open for the 10th time this year with more than 150 competitors.